Ship-building is special to Glasgow’s history. Keeping those memories alive in a city changing fast – culturally and physically – is important. 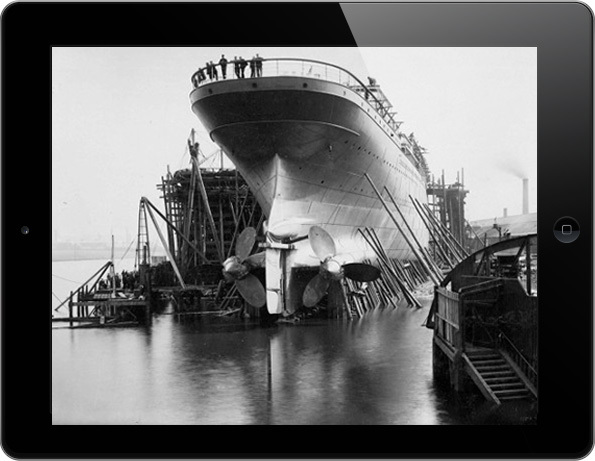 Sharp Apps was asked to address this with touchscreen app technology at the Fairfield Project, multi-purpose developments on former shipyard sites in Govan. We wanted to help keep the memories alive without becoming rooted in the past – this could not be a sombre memorial, it had to draw people from all ages and backgrounds in, bringing a rich and important history to life. The interface we used to deliver this history had to reflect that objective. By syncing with big screen TVs on site, our unique time-traveller apps allow users to explore the filmed content as it’s being played out in front of them. Plus a clever content management system lets staff at the project update the content as the site changes day-to-day, providing a ‘living history’.